All our bedrooms are comfortable, clean and equipped with a small kitchen to make an early morning or late night cup of coffee, tea or mate. All bedrooms have an en-suite bathroom with shower. Warm showers after a full day of activities! Bedding, linen and blankets are included. You have a beautiful view of the mountains from your bedroom window. We have the most spectacular sunsets! 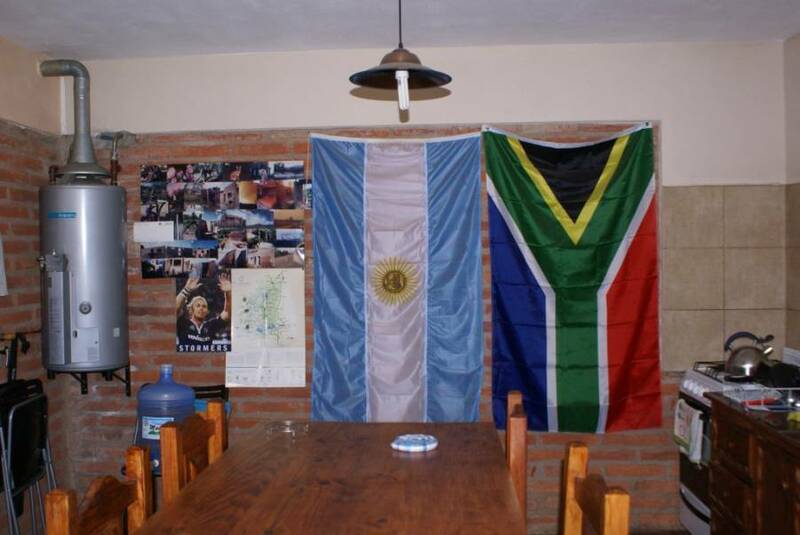 Hostel Tinktinkie was the first hostel that opened in the Calamuchita Valley in 2009. We have built the Hostel from scratch and everything in our hostel was handmade by locals. Breakfast is included and fresh from the bakery every morning. Medialunas and facturas. Our rooms cater for all types of travellers. 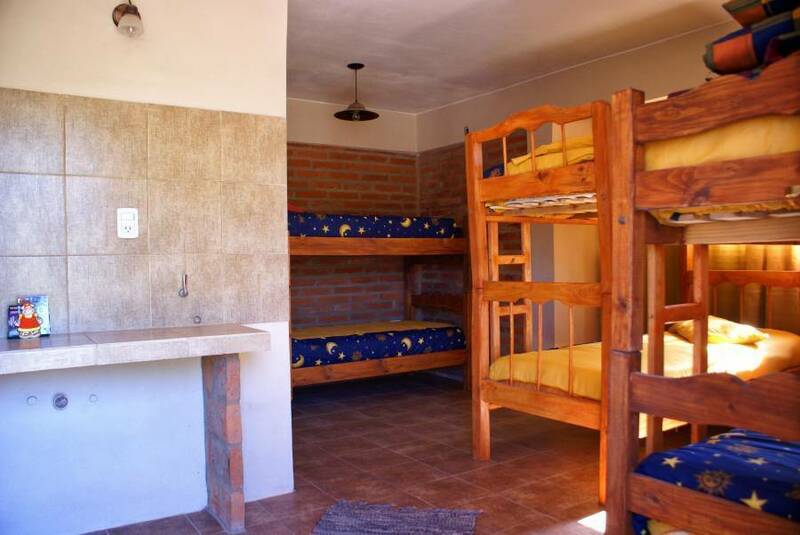 We have dorms for 4 or 6 people or a double room for couples who want more privacy. You tell us your requirements and we will accommodate you where possible. Our kitchen/common room has a relaxing, warm and friendly atmosphere. It also has a fireplace! TV , Dvd’s and books are available. What about a game of chess or a board game for those who want to stay in? 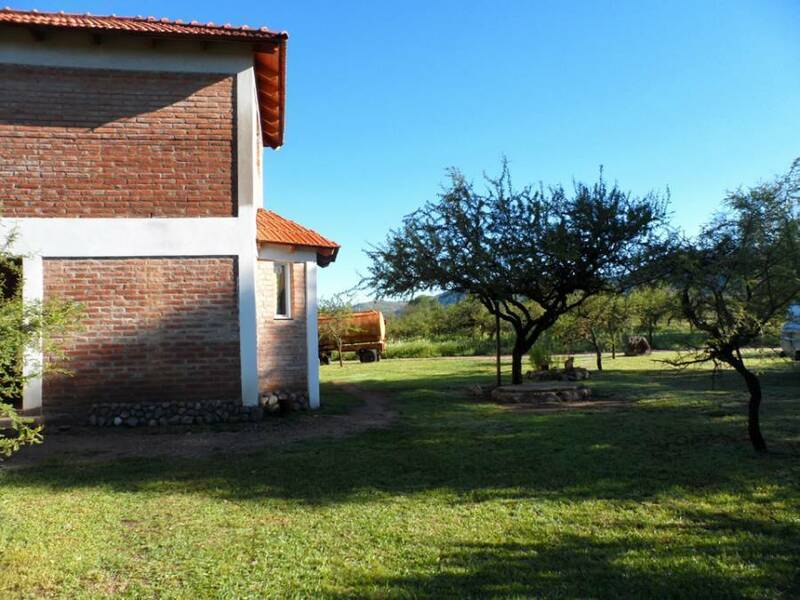 We are situated 700m from the main road (Ruta 5) and 2km from the town centre. 300m from the river! We will gladly wait for you at the bus terminal and arrange for a taxi to take you to the hostel. We would like to make your feel at home and can assist with tours, language barriers, booking of bus tickets – you name it! Nothing is too big or small for us. We also cook on request! We speak English, Spanish, Russian and Afrikaans as well as a little German and Dutch. We are hoping to see you soon! Our hostel is new and modern. 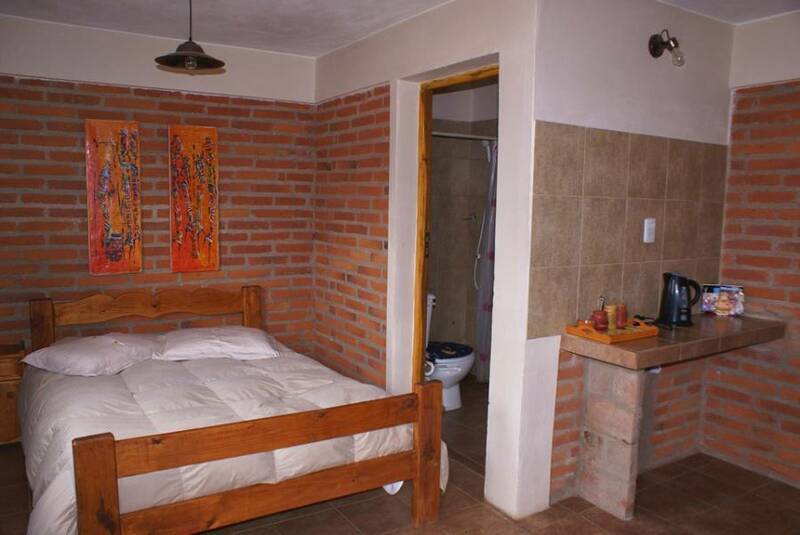 All rooms have ensuite bathrooms and is equipped with a small kitchen to make coffee. 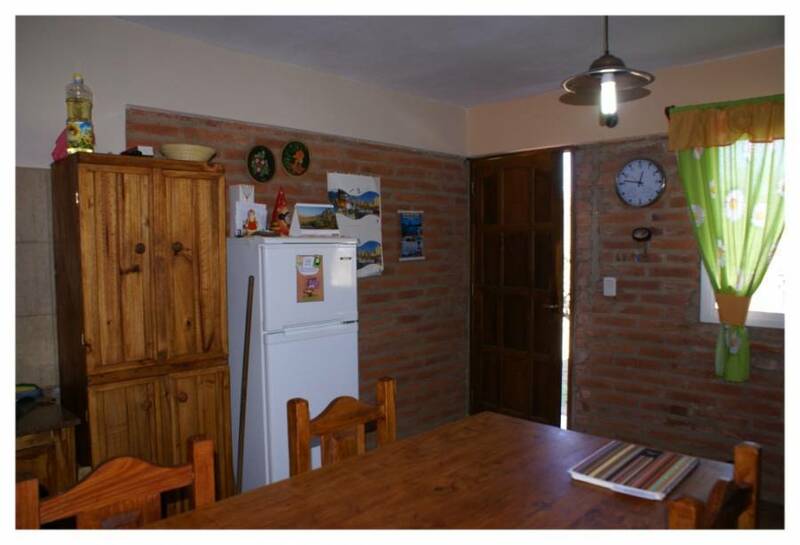 The kitchen/common room is equipped with TV, internet, fireplace, board games, music and dvd's. Beds are very comfortable and rooms are spacious. All rooms are completely private with individual entrances. We are situated in El Portezuelpo +- 2km from the town centre. 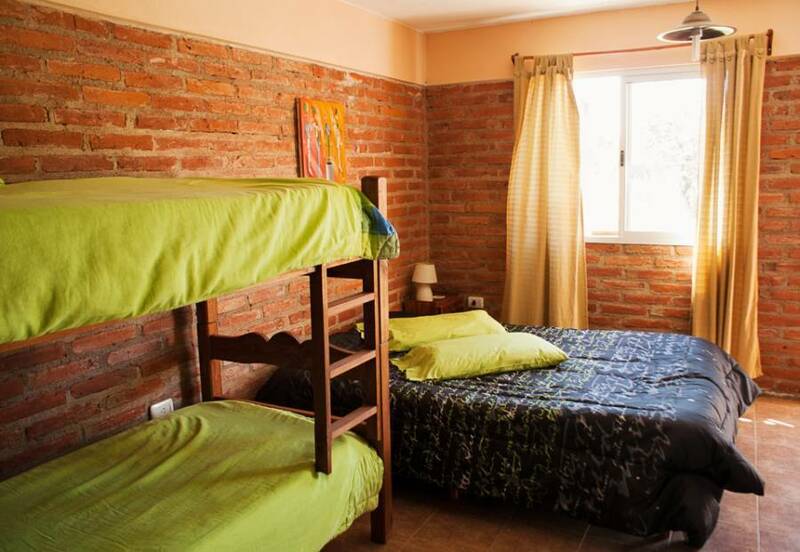 Our hostel is 300m from the Santa Rosa river and 700m from the bus stop in the main road. There are 3 small shops close to the hostel where you can buy food and meat. Towel hire AR100 per towel. Cancellations or no shows will be charged in full. We are able to change dates without charges depending on availability. The bus terminal is situated in the town centre. Busses depart daily to Buenos Aires, mendoza, Rio Cuarto, Cordoba and other major destinations. We will gladly wait for you at the bus terminal and arrange for a taxi to take you to the hostel. Should you wish to make your own way - take a taxi from the bus terminal and ask to go to "El Portezuelo". It is +- 2km from the bus terminal. When you turn into Portezuelo you are in Enrique S Discepolo. Continue +- 900m with the road and you will find us on the corner of Enrique S Discepolo and Hugo Del Carril.